Motorola designed some really neat applications and services for the Moto X that are what truly define the device. The big ones are Active Display and Touchless Control. They take what might otherwise be a boring smartphone and make it an interesting and more functional experience. According to Motorola's research, most people turn on their smartphone's screen about 60 times a day--only to shut it off 5 to 10 seconds later. 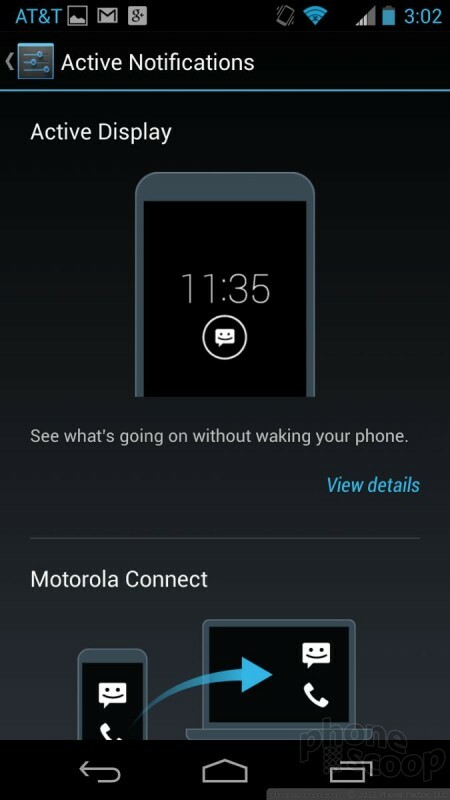 Motorola discerned that people were doing this to check the time and to see if they had any notifications. Motorola thought to itself that this might be an opportunity to accomplish a few different things, including improving notifications and improving battery life. Active Display brings the clock and notifications to the screen (when it is locked and off) without turning on the whole display. Instead, it only shows the clock and notifications in white on a black screen. You don't have to push any buttons to check the time or see if you have any new emails. If the X is sitting on a desk, it will automatically light up the Active Display when a new email or message arrives. It will then pulse on and off with that notification until dismissed. Active Display will turn on when you nudge the X, when you turn it over, when you pull it out of your pocket or bag, when you shake it, and pretty much any time you move the phone. Pretty much any moment at which you might want to see the time and what notifications are waiting for you, the X shows you. On our review unit, more than two dozen apps were able to provide Active Display notifications. What's better, you can interact with the notifications. For example, say I get three emails. 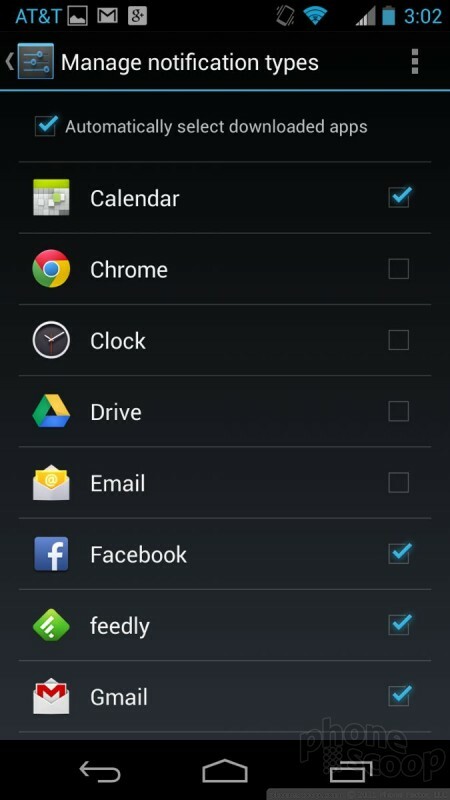 The Gmail icon will be displayed in a little circle under the clock on the Active Display. I can press-and-hold the icon, and the notification expands to show me the sender details and subject line from the three emails. (If there's just one email, I'll see the first line of the message, as well.) At this moment, you can do one of several things: swipe sideways to dismiss the notification, swipe up to open the Gmail and, or swipe down to unlock the phone. The same behaviors apply for a missed call, Google+ interaction, or a text message. This is all very helpful, but there are limitations. The biggest is that you can only interact with the most recent notification. So if you get a text message and then three emails, you can't peek at the text message, you can only peek at the three emails. I was expecting to be able to peek at the text message after dismissing the email notification, but that's not the case. That's a bit limiting in my mind. You'll still be able to see, however, that you have a text message waiting for you. I like the idea of Active Display a lot, and I think Motorola accomplished at least one goal: I spent far less time hitting the screen lock button to turn on the screen to check the time and my notifications. Last, Active Display works with another feature called Motorola Connect. Motorola Connect basically uses an extension for the desktop version of Chrome to push incoming text messages and phone calls to a desktop or laptop computer. The system sends notifications to the Chrome browser, which can be used to receive/respond to text messages, and see incoming/missed call notifications, but not to answer calls. 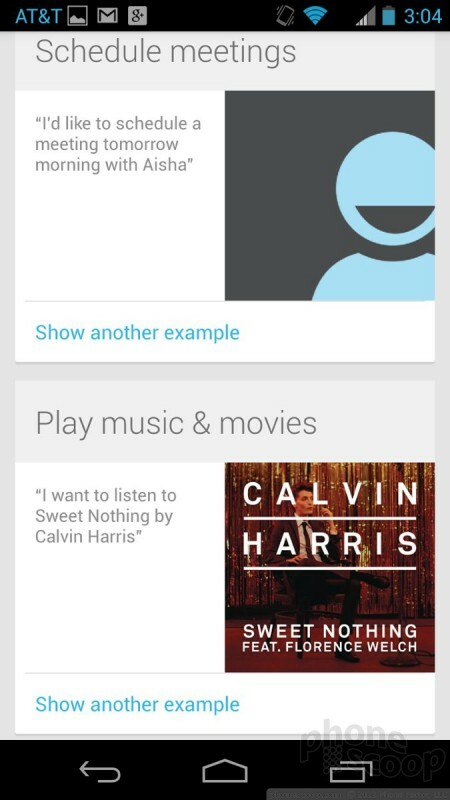 Touchless Control is Google and Motorola's big leap forward with its Google Now product. Google Now has been available on Android devices for the better part of a year and is a really useful tool for performing searches with your voice. (It's a bit like Apple's Siri.) One of its big limitations is that you have to wake the device up before you can use it. Touchless Control solves this issue. The Moto X uses what Motorola calls its X8 processor architecture. The X8 set-up includes the Qualcomm Snapdragon S4 Pro chip, as well as a separate processor to handle Touchless Control. Motorola said that if it used software to handle all the Touchless Control functions, the Moto X's battery would drain in just two to three hours. Using a separate, low-power processor that's always running, however, solved Motorola's power-usage needs. The bottom line here is that Touchless Control is always listening, and you don't have to worry about it killing your battery. Each person must first train Touchless Control. 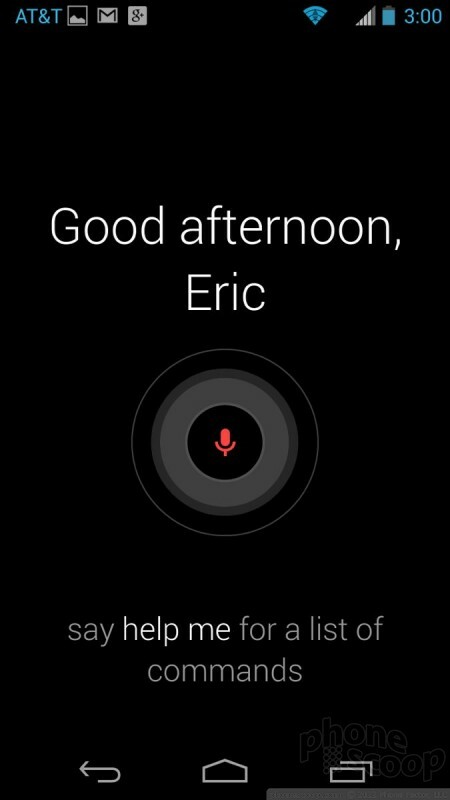 In a quiet environment, you speak "OK Google Now" three times so the X learns your voice. This catchphrase is then what you use to wake the Moto X and launch Google Now. 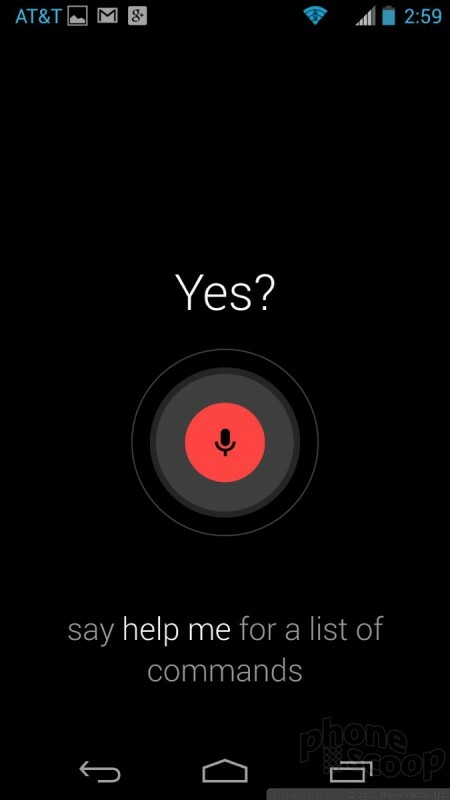 According to Google, the phone should only respond to the owner's voice, but there are cases in which people with similar-sounding voices can open Google Now with the catchphrase. (And no, you can't customize the catchphrase.) The idea is to let people interact with their phones without requiring that they actually pick them up. For example, with the X sitting on my desk, I can say, "OK Google Now, call Mom's cell phone," and that's what the X will do. I don't have to touch anything else. The device provides visual feedback on the screen telling you what it is doing, and will speak that feedback, too, if you want it to. Making phone calls is the only task Touchless Control can perform if you've locked the Moto X with a code. 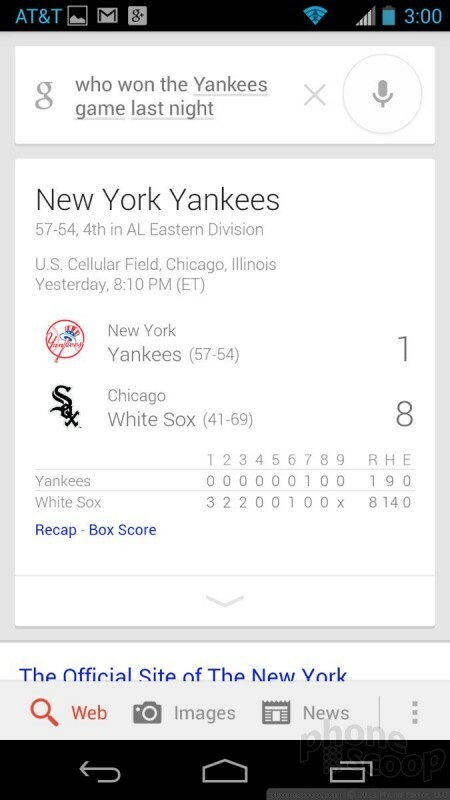 If you say, "OK Google Now, who won the Yankee's game last night?" you'll have to unlock the X before it will give you the search result. That limitation aside, there's a lot that Touchless Control can do. I was able to make phone calls, open Gmail, use Google Play Music, get directions, search for anything, interact with the calendar, and so on. Google Now responds well to natural language requests and its voice-transcription capability is second to none. It's much, much faster than Siri on the iPhone, and better able to handle requests that arrive in the form of long sentences. It's still not perfect, though. All too often Touchless Control performed a Google Search when I really wanted it to open or use an app. There's a helpful tutorial that's worth watching before you really sink your teeth into Touchless Control. I sort of felt like a psycho talking to my phone as it sat on my desk all day, but you get used to it after a while. 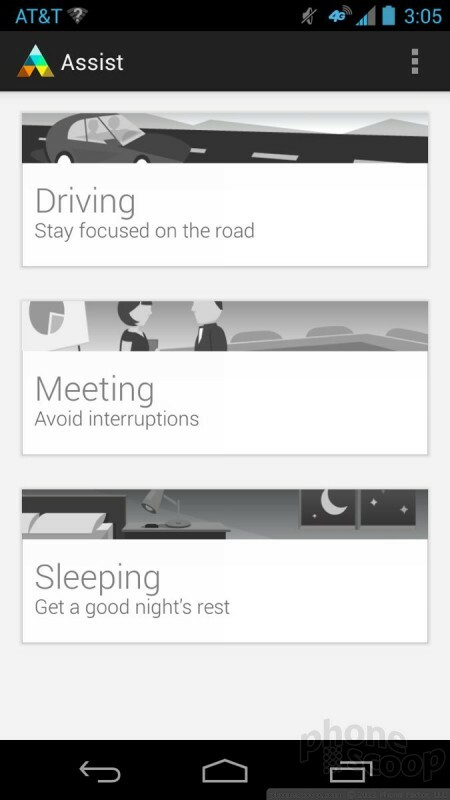 Moto Assist is a tool meant to help save you some trouble when using the Moto X. It monitors the X for three scenarios — driving, meeting, and sleeping — and controls the X's behaviors accordingly. First, driving: The X will automatically sense when the device is moving fast enough to be in a car. 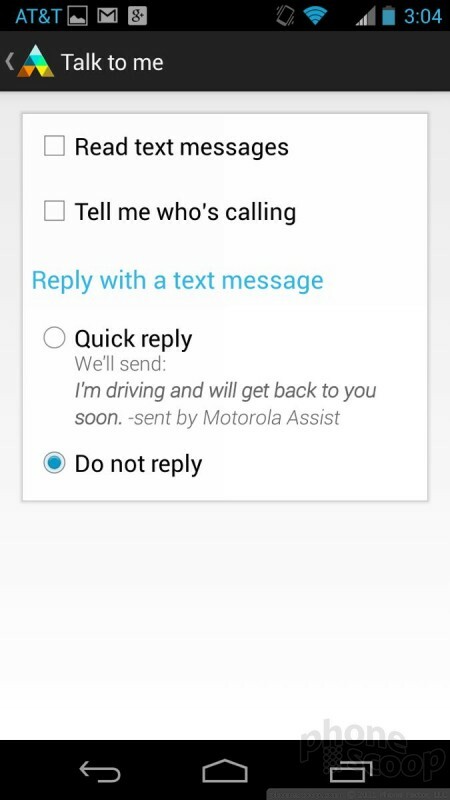 I tried to use Touchless Control to make a call when driving and Moto Assist popped up first and asked if the device should be put into Car Mode. It can also do things such as read incoming text messages aloud, speak the names of people who call, and automatically send quick replies, such as, "I'm driving and will get back to you soon." The meeting and sleeping functions are essentially the same and are meant to help prevent interruptions. They both need to be turned on manually, and don't start automatically like driving mode does. During meetings, for example, the X can be set to silence, allow favorites to ring the phone, or to ring when the same number calls multiple times. It can also send auto-replies. 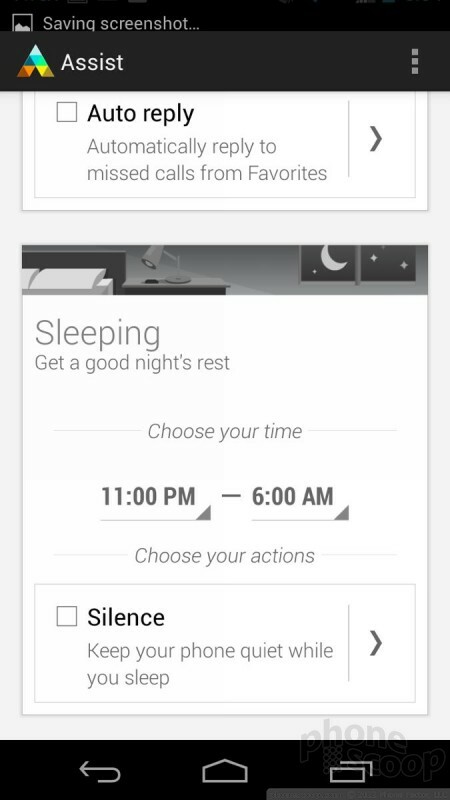 The sleeping mode is a bit less feature-rich and only silences the device between set hours. 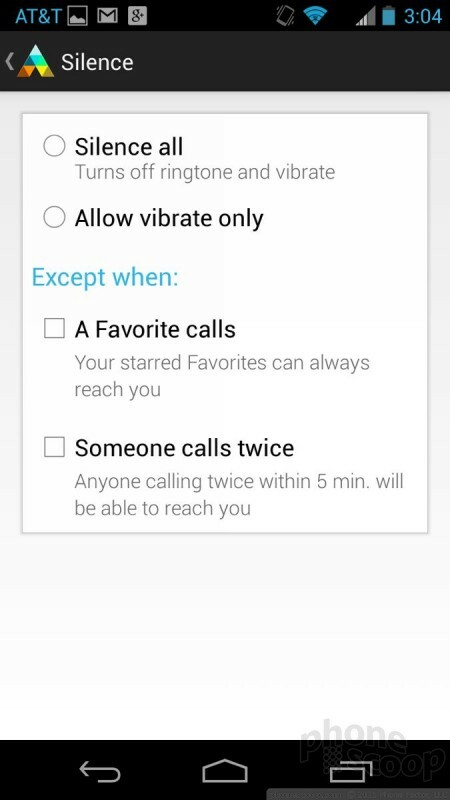 Again, though, it will ring if a predetermined favorite calls, or when the same number calls multiple times. It's much like Apple's Do Not Disturb feature. Last, Migrate. The X has a feature called Migrate that is meant to help you transfer all your content from one device to another. It works with media, call and text history, as well as SIM contacts. The tool makes use of a QR code scanner to pair the two devices and then uses Google's servers to migrate the data between the phones. It makes it pretty easy to send data to another device. Motorola claims the new MOTO X was made just for you. It is a curious phone that offers useful new software features and some compelling hardware options. 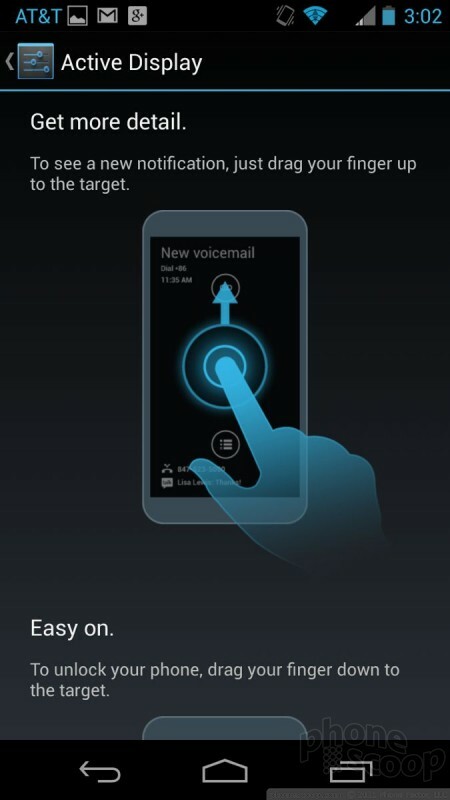 Motorola today updated the Touchless Control application that's found on the Moto X. 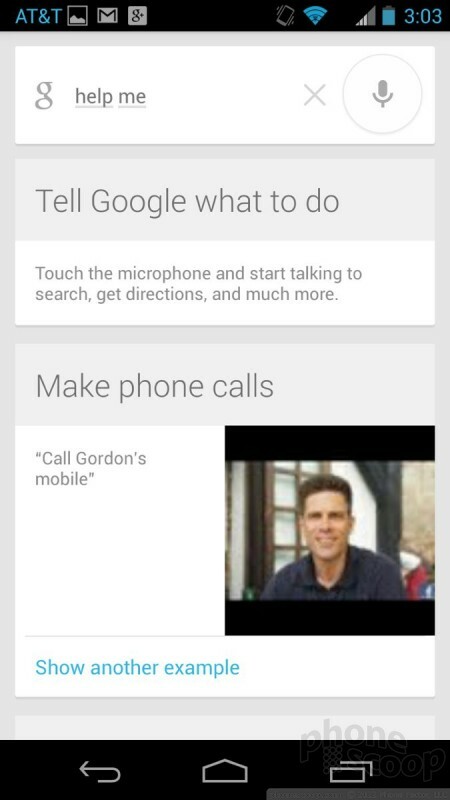 The improved application accepts more Google Now commands without requiring users to unlock their phones first. Motorola today announced the MOTO X, a smartphone that was "designed for you." The MOTO X represents the first device created by Motorola from scratch after it was acquired by Google last year. Motorola and Google focused on developing several key features for the MOTO X that they believe will delight users. Motorola today announced Skip for the Moto X. Skip is an accessory that makes maintaining device security a little easier.